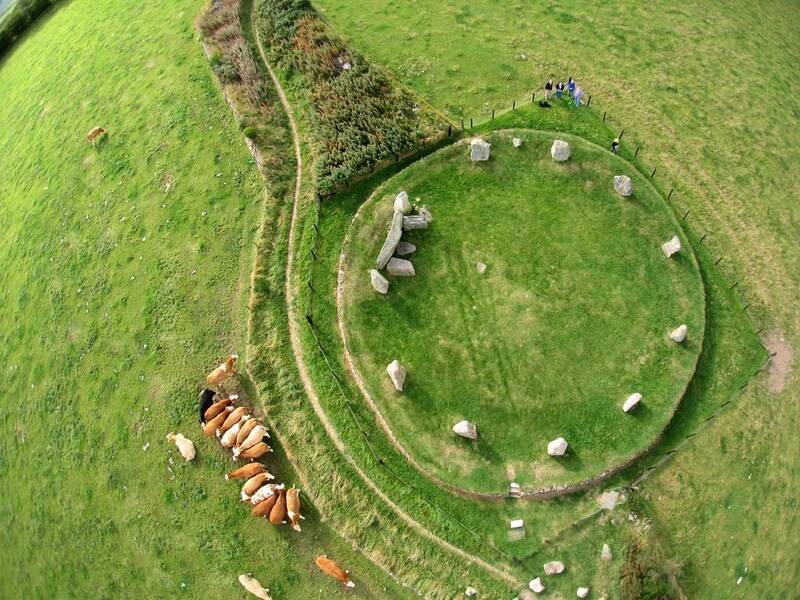 Kite Aerial Photography has been around for over a century, although it experienced the renaissance a few decades ago. The first kite aerial photos were taken in 1887 by Douglas Archibald, British meteorologist and in 1888 by Arthur Batut. George Lawrence, an early pioneer in kite aerial photography, used a large panoramic camera and stabilized do-it-yourself rig in order to take that breathtaking photo of San Francisco after the 1906 earthquake. With the development of technology in general, KAP also evolved significantly and nowadays it is seen as one of the things people like to do in their spare time. If you are interested in taking up this exciting hobby, here’s the basic gear you’ll have to get! 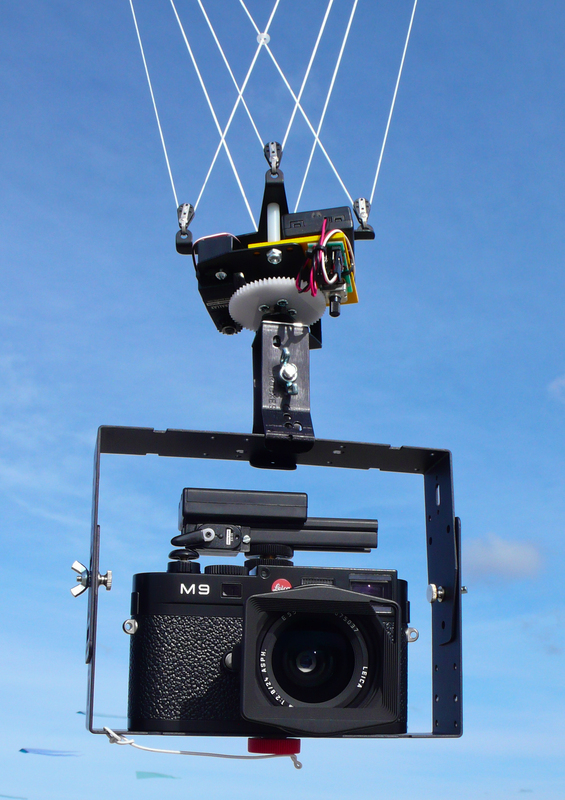 Basically, KAP equipment includes a kite, a camera, a flying line and a rig/cradle. Although it comes as a surprise to most beginners, camera isn’t suspended from the kite, but from the flying line. Moreover, that enables KAPers to get decent pics, because camera movement is somewhat damped. When it comes to camera itself, back in the early days, high-quality, quite heavy film cameras were lifted by rather big kites. With the invention of light digital cameras, KAP has become quite affordable hobby. Not only are modern camera lighter, but they take amazing pics, too. High-end KAP cameras don’t have a zoom lens for many reasons, but these are the major ones: zoom lens is heavier, it produces the pics of slightly lower quality than a fixed one and for a given manufacturer the lowest aperture is larger compared to a fixed lens. Opt for a camera with high-quality wide-angle lens or fish-eye lens. 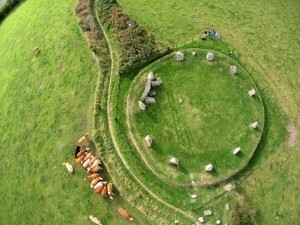 Photo-stitching is also a way to cram more scenery into the field of view. Picavet is an item of KAP equipment commonly used by professional photographers. It was invented in the early 20th century, but it was re-discovered and put to widespread use in kite aerial photography rigs a few decades ago. 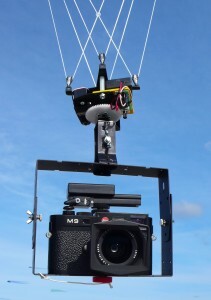 While suspended from a flying line, picavet is used to provide a level and stable platform for the camera. Brooks Leffler, a fairly known KAP enthusiast has made one of his KAP rigs available on Amazon, therefore a KAP novice can now get a KAP kit at quite affordable price online. Theoretically, a light camera can be raised by any moderately sized kite, right? Well, in practice, some kites are better than others for taking photos. Therefore, KAPers look for easy, stable, no-fuss kite able to lift the camera over a wide wind range. Flow-form and parafoil kites are for these reasons very popular in KAP. In addition, they are tolerant of quite strong wind and convenient to transport. The last, but not the least, it’s useful to know the average strength of wind, so wind speed meter is quite a handy device for KAPing.